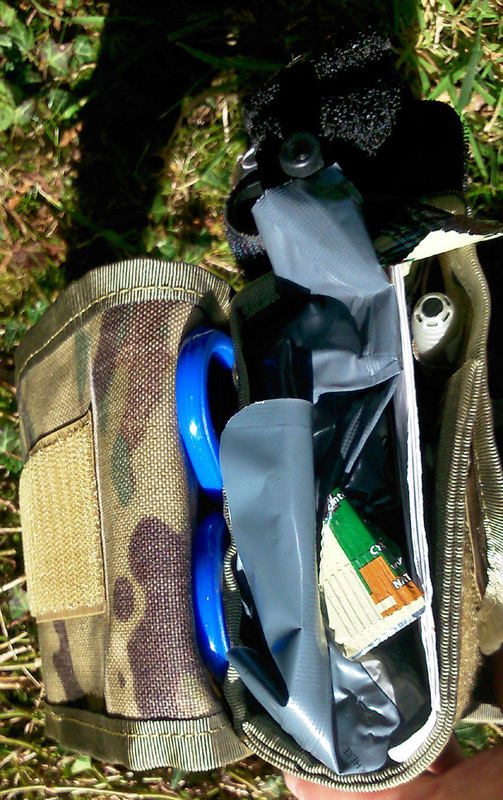 Review of Molle Belt, IFAK and Utility Pouches. I currently use two setups, Assault Vest and Belt Order. Assault Order is for HQ/ Operations Centre work and Belt Order for Liaison role and Training Review. My vest is an issue Desert Molle, with green IRR paint added to 'MTP' it. On this are a mixture of issue MTP Osprey, Warrior Systems, Disciple and in the last few months British Tactical pouches. For Belt Order I've tried the current Osprey Molle belt but simply could not get it to work properly so I’ve recently upgraded to a mixed belt order of Warrior Assault Systems and British Tactical. MOD supplies 3 sizes, I’m between medium and large. Looking at most suppliers it either was the same or pay £80-£100 for a custom made belt. Initially the belt appeared lightweight and only thinly padded, however, once loaded up I put it on and was pleasantly surprised. The belt feels like it moulds to you and stays in place when you move. The padding does its job providing both comfort and stability. The three rows of molle give a ‘locked down’ feel to the pouches which is what I prefer. The first test I carried out was a simple weighted tab, four miles with 10kg in the belt order alone, no daysack. It fitted like a glove, no rubbing and excellent weight distribution. The second is dry drills, my ammunition pouch configuration has been ‘tested’ on live ranges but I’ve not yet had the chance since adding to my new belt order. However, practicing dry drills (basic weapon handling and transition from one shooting position to another), there were no issues at all. The belt keeps the pouches in a fixed stable position at all times. The Cobra Buckle is more robust but slower to adjust than the other options. If your routinely doing artic tours and moving from thick quilted clothing to thinner layers you may want to go for roll-pin, otherwise I recommend Cobra. If you’ve not been formally taught equipment sizing follow the directions on the BT website. I had a six point Warrior Assault Systems yoke already so I couldn't justify buying something else. It works well with BT belt and appears to be a slightly heavier version of their 6 point yoke. If buying new I’d go British Tactical Yoke since it is a similar price and other reviews give it the edge on under body armour use. Due to my role a small arms contact is now very unlikely, however if it happens it will be at Close Quarters. As a result approximately 40% of my A2 shooting is at 30m or less in addition pistol. My current configuration is a mix of CQB/ open top and closed top magazine pouches. I currently use Warrior Assault Systems Open top on my belt and then double mount closed top pouches on top of these. This gives a maximum 6 mag capacity. The photo shows two P-Mags with then older Magpuls in the Open top pouches and two fake mags plus and old style ammunition block (for training weight) in the closed pouches. The BT IFAK is a simple yet brilliant design. It carries the standard CAT and 2 FCP bandages in a much smaller space than the issue pouch, and yet easily expands, (either downwards or sideways; your choice!) to accommodate more items. Build quality is excellent; it is both lightweight and robust. I prefer the rip away design to the unzip and pull out style of the issue pouch, the downside with these is the ‘back up method’ of securing to the back panel. Relying on Velcro alone is not adequate. The BT pouch has a broad 50mm retaining strap with a single buckle that wraps round the entire pouch. This design provides the required security whilst remaining simple and quick to open and grab, even with gloves on. In the pictures are the mandatory first Aid/ trauma items plus Clothing scissors, airway (my size) aide memoire and Celox Bandage (this is the smaller one the police use) I carry a military issue Celox bandage, chest-seal and burn pack in my daysack. The cyclumes are standard and infra-red. A small self-aid kit in the ‘standard 2 oz tobacco tin’ is also carried, but in another part of my kit. We went MTP in early 2012, since then I’ve looked at Issue Osprey, Warrior, Solo, JayJays and British Tactical. Issue Osprey is free (with low cost spares off ebay) and robust. However the design is basic, its heavy and items such as a mess-tin or metal mug you have to force in. A metal mug is a two handed job! I have a personal short list of two private sector suppliers, Warrior for low cost basic quality and British Tactical for the most cost effective high end brand. Warrior good basic quality and design and low cost. Molle on the side of the pouches are now standard which aids the attachment of shock cord/elastics for cam and securing pouches together. The advertising claims you can double mount smaller pouches but I've not found any that truly work. 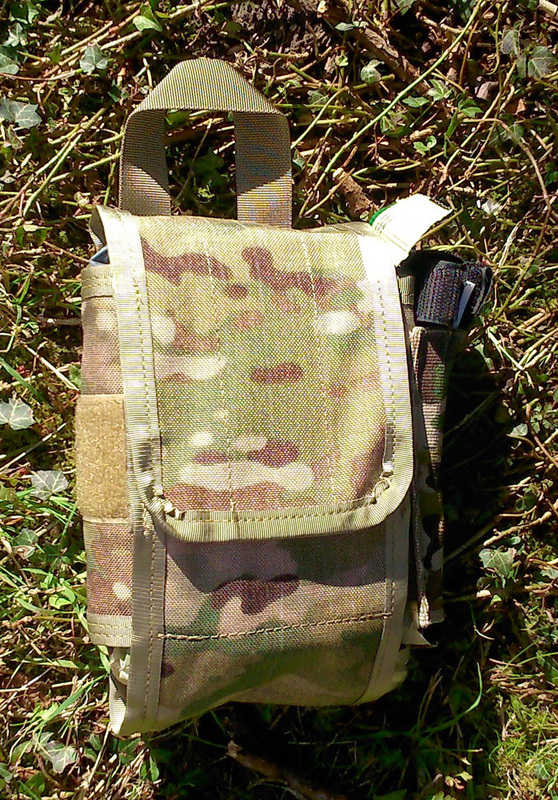 For zipped utility pouches I’ve looked at Disciple Warrior, Karrimor SF and British Tactical. For me it’s the volume I get for belt space plus the robustness of the pouch. These two criteria in my opinion leave just two options; Disciple as the low cost minimum standard or British Tactical for cost effective high quality segment of the market. I have 2 of the Mark 1 Disciple and they have proved to be robust. The current Mark 2 GP Utility is the same but full MTDP (a close copy of multicam). You get 2.4 litre pouch on just three molle width. Basic, but maximises volume to space whilst proving to be robust. At the top end there is British Tactical, 30% more however only £6 in cash terms, per pouch. Either a 2l pouch taking up 3 molle or 2.6l pouch taking up 4. The build quality like their other pouches is outstanding. The pouch is lightweight yet robust, two internal sleeve like pockets help with personal administration. 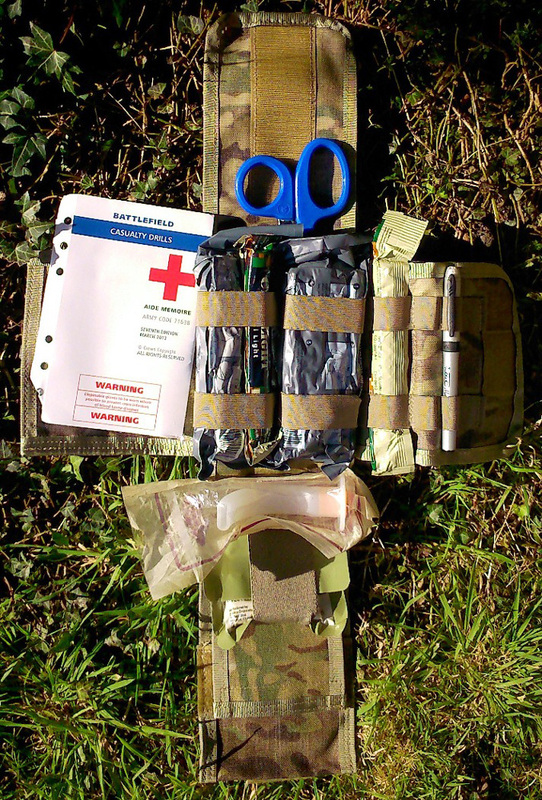 On the outside of mine is a British Tactical hexi pouch, just the right size to hold hexi stove, lighter and storm matches, it provides the extra safety against the of cross contamination between hexi blocks and food and means you can genuinely get a 24 hours food and emergency ‘cookset’ in /on one pouch. » Pros and Cons of Webbing, Vests and Chest Rigs.